Now’s your chance to see 8 headliners for one great price! 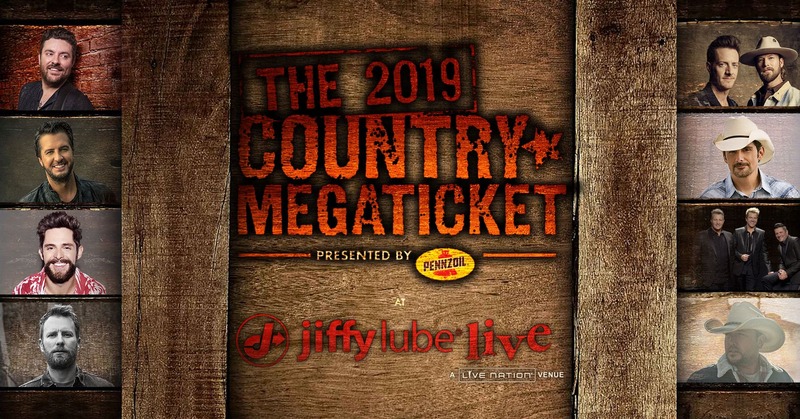 The 2019 Country Megaticket presented by Pennzoil will be hosted at Jiffy Lube Live and features the summer’s hottest country shows like Chris Young, Luke Bryan, Thomas Rhett, Dierks Bentley, Florida Georgia Line, Brad Paisley, Rascal Flatts and Jason Aldean. global market leaders: Ticketmaster, Live Nation Concerts, and Live Nation Media & Sponsorship. For additional information, visit www.livenationentertainment.com. 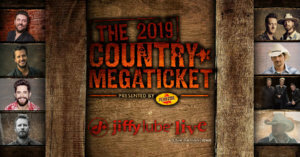 For tickets and more information visit www.megaticket.com.